Post-tropical storm Chris quickly moved across eastern Newfoundland late Thursday and early Friday with powerful winds, heavy rainfall and rough surf along the coast. Gander recorded almost 80 mm of rain (almost a month’s worth), the southern Avalon Peninsula had high water swells of 6 to 8 metres above normal while Bonavista and Cape Pine recorded wind gusts above 100 km/h. 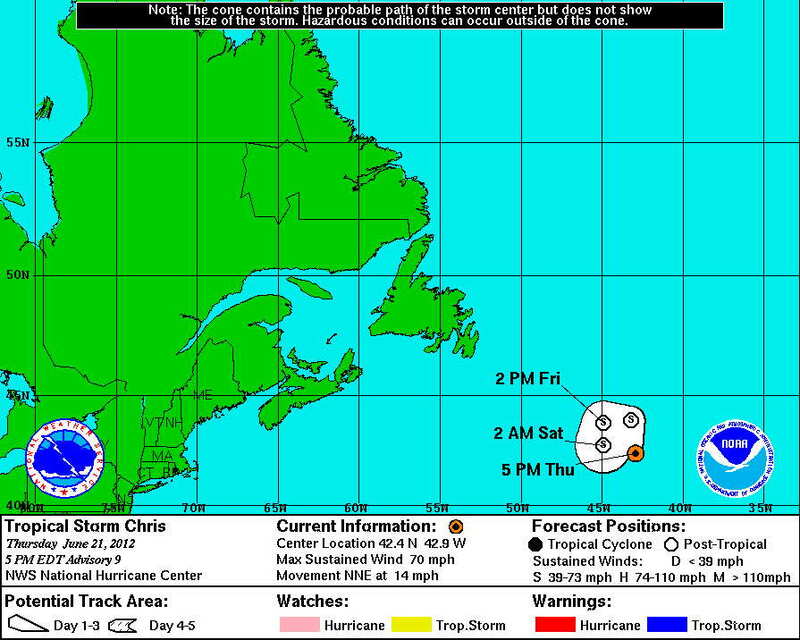 The Canadian Hurricane Centre issued its final bulletin for Chris early Friday as the storm sped off into the North Atlantic. In its annual list, Environment Canada has chosen the top weather stories of the year – from super storms to super heat, and from immense flooding to immense fires. Temperatures were above normal across Canada during winter, spring and summer from coast to coast to coast. By the end of the Atlantic hurricane season, 19 named storms were recorded with Chris, Leslie, Rafael and Sandy impacting Canada. High levels of early spring flooding in British Columbia caused washouts, and slides, evacuations and fatalities. The March heat wave was off the scale in every way: intense, huge and long-lasting. In Moncton, a new record monthly high of 26 C was recorded. Summer on the Prairies started out with short-lived cool temperatures and ended as one of the top ten warmest on record. The year will go down as one of extraordinary change across the Arctic Ocean, with sea ice becoming dramatically thinner, weaker and younger and melting more easily. Higher than normal temperatures and a lack of rainfall in Eastern Canada meant a great summer for most outdoor enthusiasts but trouble for some crops and water systems. 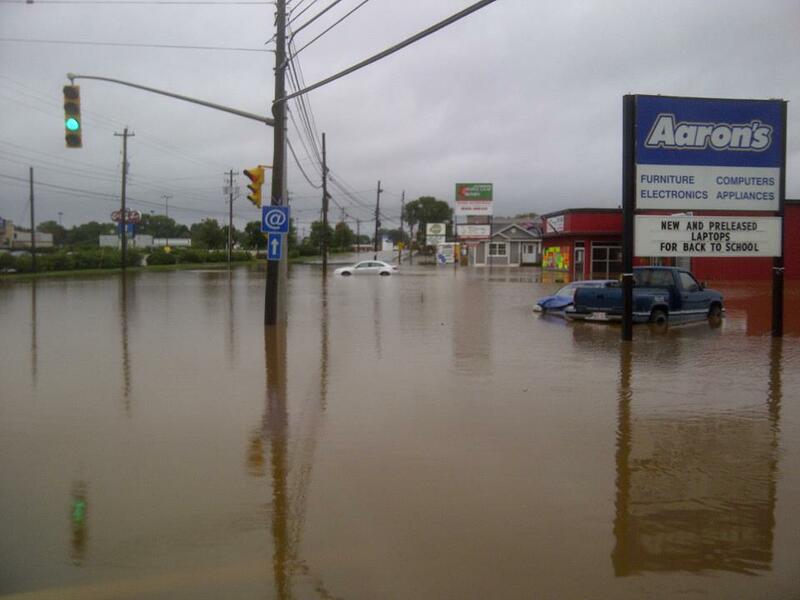 Thunder Bay experienced record breaking flooding in May while Montreal and Toronto also found themselves with expensive floods weeks later. A monstrous hailstorm pelted Calgary with hailstones larger than golf balls on August 12th and in a matter of 10 minutes, pounding hail dimpled vehicles and riddled house siding with millions of dents. The first days of spring were marked by a mandatory evacuation for residents of Perth-Andover and Tobique First Nation when the Saint John River and several tributaries spilled onto nearby fields and roads. Chris spent mere hours Thursday as the first Atlantic hurricane of the season and now has weakened to a tropical storm. Forecasters called Chris a “zombie hurricane” because given its location in the North Atlantic so early in the season in colder waters, it should be dead but it continues to churn. The storm is roughly 500 km SE of the Grand Banks off Newfoundland and is not expected to have any wind or rain impact on land.